Erivum Puliyum: Papdi Chaat | Dahi Papri Chaat | Chaat Recipes & How to make papdi from scratch?? Papdi Chaat | Dahi Papri Chaat | Chaat Recipes & How to make papdi from scratch?? Chaats of any kind is my favorite with the chatpata spicy and sweet chutney.This is another interesting chaat recipe with homemade papdis.Though nowadays its much easier to make chaats at home as everything is available separately in grocery stores,you just have to grab the packets and combine to make a chatpata chaat at home in minutes.But silly me,I always prepare these from scratch just to keep it healthy and also to learn the efforts put in each of the preparations.I have earlier tried making panipuris at home which was a super hit with my family.Kids also love the spicy tangy flavors of chaat and so love making it frequently.The papdis are soaked in spicy green and sweet tamarind chutney and topped with yogurt with a few add ons like boiled potato,chick peas and sev that gives the extra crunch.Try this if you love chaats and am sure you'll enjoy too !! 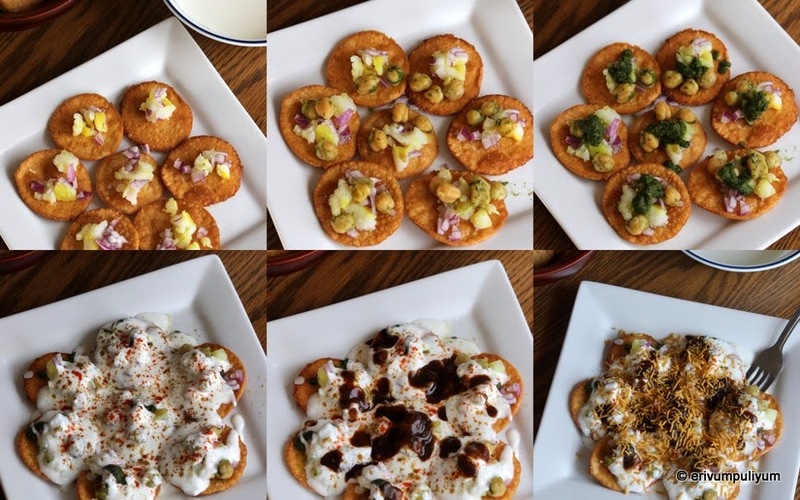 For more chaat & chatpata snack recipes,click this link. Take the flour,semolina in a bowl,add salt.Mix well and add the oil. Crumble it and add water to make a smooth dough.Leave covered for 15-20 mins. After 20 mins,divide the dough in three equal balls.Roll out each ball in a thin large circle,prick the rolled dough with a fork several times(prevents puffing up).Using a 2.5" cookie cutter,cut out small rounds. Flip and turn both sides to cook evenly on medium flame.Drain with a slotted spoon and place on paper towels.Keep aside till topping gets ready. Coarsely mash the potatoes or roughly cube the potatoes in small pieces.Keep in a plate. Keep ready the finely chopped onion,tamarind chutney,green chutney. Mix the boiled chickpeas with one tbsp of green chutney,keep aside.Mix salt in yogurt and beat well. Arrange the papris in a plate just before serving(I arranged seven in a plate).Place small pieces of potato on each papri.Add 2-3 chickpeas and onion on each papri. Add few tbsp of yogurt on each papri,sprinkle chilli powder.Sprinkle roasted cumin powder and chat masala. Add few tsp of tamarind sweet chutney on top and garnish with sev. * Don't increase the heat when frying papris as the outside may turn brown and the inside may not be cooked and may turn soggy. * Arrange the papris and prepare chaat just before serving as they tend to become soggy soon. * Use store brought papdis for a quick short cut and to assemble in few minutes. Enjoy your homemade papdi chaat !! That Paapdi Chaat looks amazing. The crunch comes through each of the pictures. And the one with curd and the chutneys. Delicious. Wish I could reach for one. Lovely pics. Slurrrp! lovely step by step pictures. will try making papdi at home. 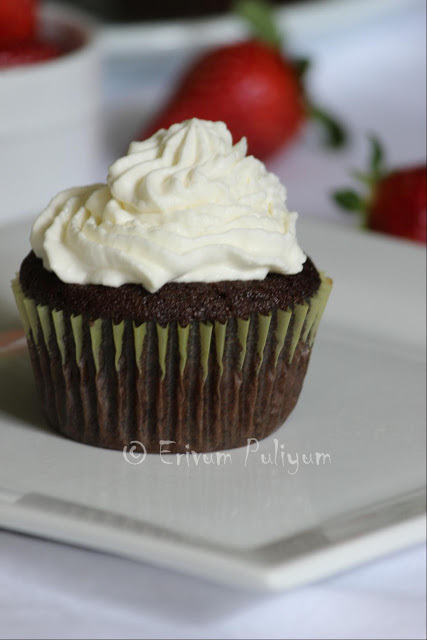 Oh, I have to try them...Thanks for sharing recipe Julie! Looks delicious!! I'll be giving it a try!! I made papdi with just semolina and it stayed crisp for more than a month but I could not take one pic due to no light.U are tempting me to try again this time I want with flour.urs look reallly delicioussss Julie. 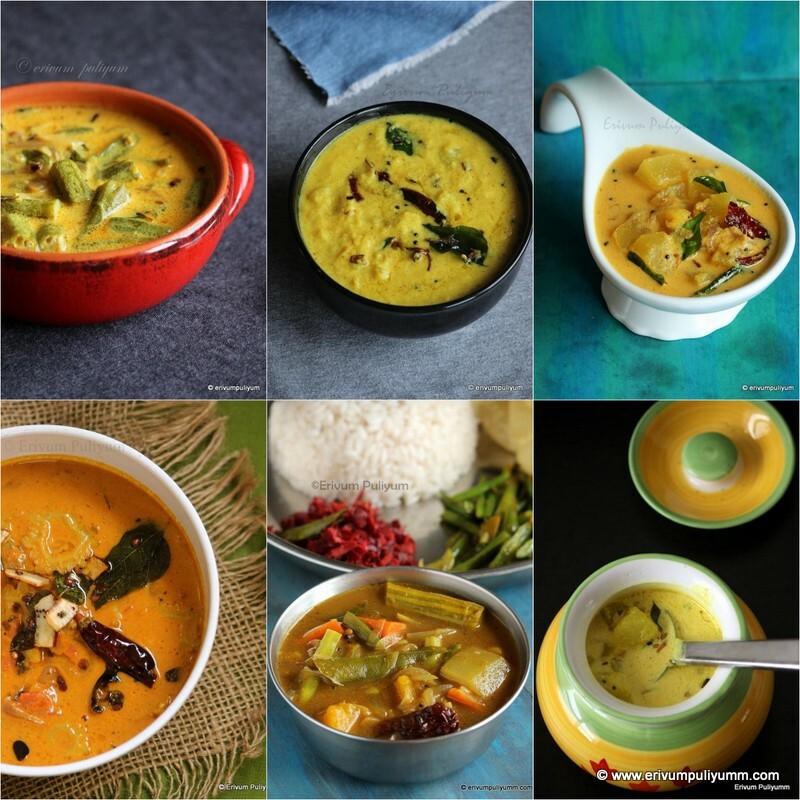 @Meena Kumar That was a new info dear,I will also try making with semolina alone next time. Looks delicious and tempting recipe. I love to eat the papdis as such. 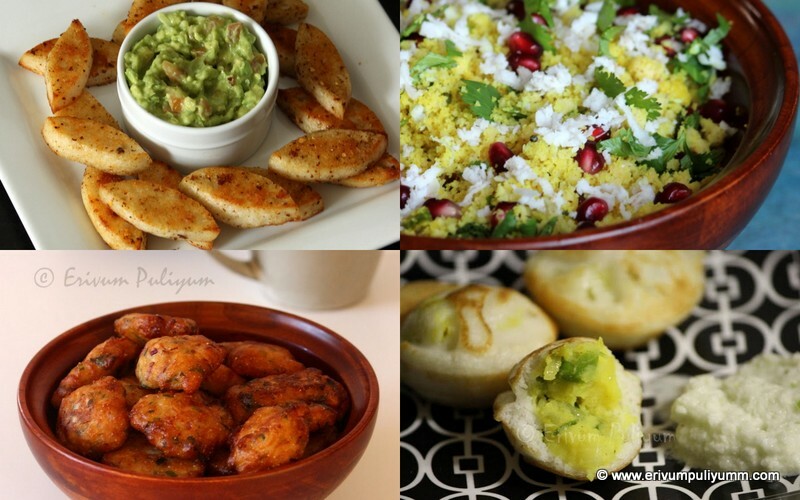 You have made them so nicely and the chaat looks inviting and super yummy.